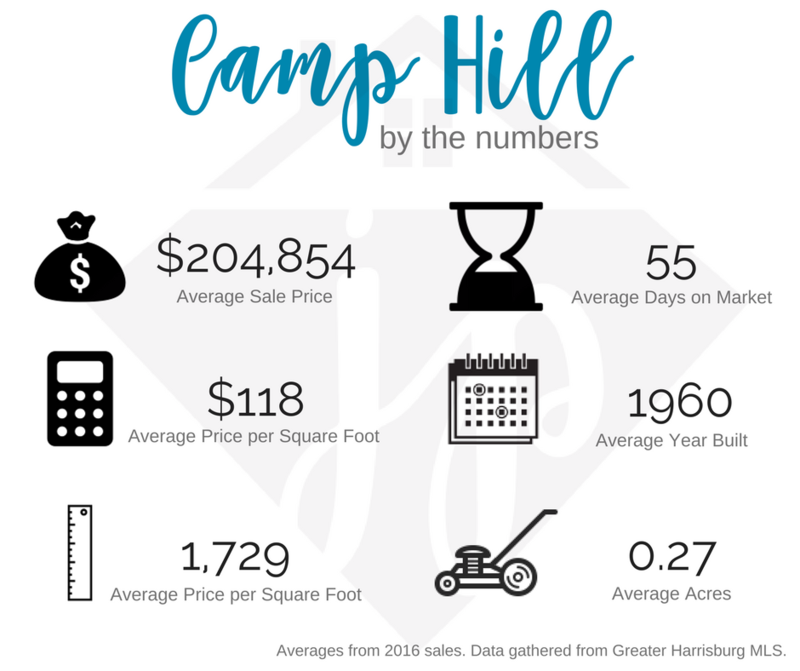 Claim to Fame: “Small Town Feel, Big City Convenience.” The Camp Hill borough is a very walk-able community with many wonderful locally owned businesses. From Accounting Services to Yoga, Camp Hill has it all – even a very progressive “float spa”. Many of the local businesses are located in old homes that have been converted to businesses on Market Street instead of strip malls giving the area a small town feel. It is impossible to live here and not know your neighbors and the local shop owners. While Camp Hill has everything you love about a small town and a very neighborly aspect of life, it does still offer big city convenience in that large chain stores like Giant, Wegmans, Best Buy, Home Depot, Lowes and PetSmart are only a very few miles away. Fun facts: Camp Hill has appeared on the list of “Top 101 zip codes with the most beauty salons in 2005” and “Top 101 cities with largest percentage of males in occupations: Legal occupations (population 5,000+)”.